The Police Department is led by Chief James Matrazzo. The Police Department staffs the Chief, 17 Full Time Officers, 4 Part Time Officers, 5 Dispatchers, Records Clerk, and K9 Laky. The Police Department personnel provide law enforcement and protection for the community, as well as investigations and special community related details. The Police Department houses a communications center staffed on a 24/7 basis. The Communication Specialists answers all emergency calls for Police related issues. The Police Officers patrol the Township using 12 Police Cruisers and 2 Motorcycles. The cruisers are equipped with Mobile Data Terminals giving the Police Officers instant access to PENNDOT information such as Driver’s License and vehicle status and ownership. 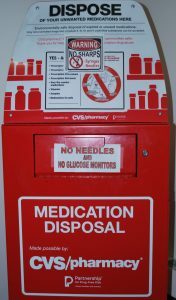 Please note that no needle or glucose monitors may be disposed of in this box. Laky joined the department in September of 2012 with funds obtained by the department through the Allegheny County DA’s Office. 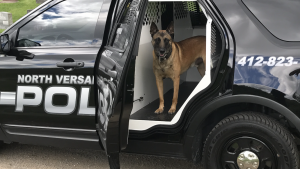 He absolutely loves to detect odor of narcotics, tracking humans, recovering items or evidence. He is always excited to meet new people and really gets excited for his weekly training and maybe some Rita’s Ice Cream! Citizen’s Police Academy is a 12-week instructional program provided by the North Versailles Police Department. The Citizen’s Police Academy affords residents to get a snapshot view of what it is like to be a Police Officer. It also bridges the gap between the citizens and the Police. 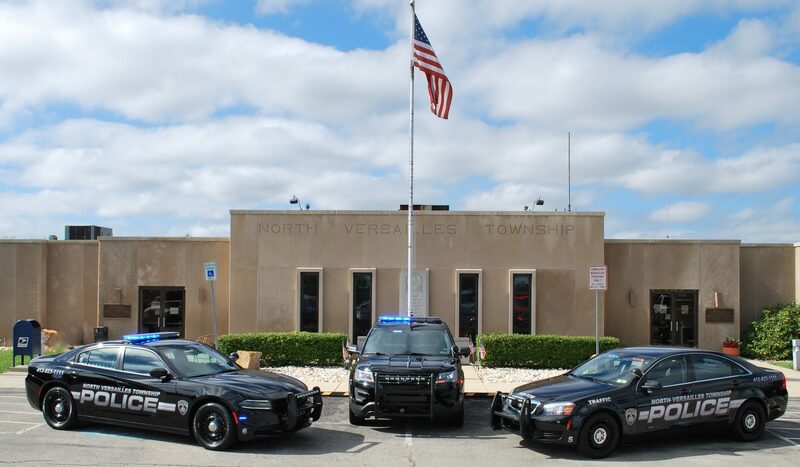 NVT Police Officer can install or simply double check that your child seat is properly fastened, please call the office 412-823-9354 to schedule. This check is free of charge.